Every year, the Census Bureau releases new data from its American Community Survey (ACS), which contains a wealth of information about the characteristics of the U.S. population. Without fail, this data always underscores the significant extent to which immigrants contribute to the U.S. economy. The 2017 data—released in September 2018—was no exception. As the ACS data illustrate, one important way immigrants add value to the economy is through their participation in the workforce. While immigrants comprised 13.7 percent of the U.S. population, they accounted for an even larger portion of the labor force: 17 percent as of 2017. Immigrants are also found at both the high and low ends of the educational spectrum; amounting to two-in-five adults without a high-school diploma and more than one-third of all adults with a college degree or higher in 2017. Similarly, immigrants are employed in both the less-skilled and high-skilled ends of the job spectrum. For instance, in 2017, immigrants comprised one-in-four workers in the construction industry and one-in-five workers in professional, scientific, and management industries. There is one important aspect of immigrant participation in the U.S. labor force that is not readily apparent from the numbers alone: more often than not, immigrants do not “substitute” for native-born workers; they “complement” native-born workers. 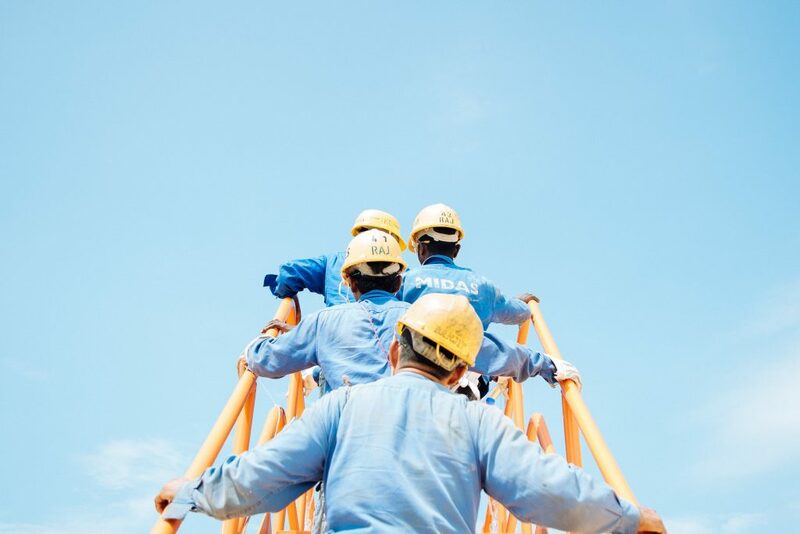 For example, employing large numbers of Spanish-speaking laborers on a construction site will increase the demand for native-born bilingual Latinos to fill supervisory positions in which bridging the gap between English and Spanish is critical. At the other end of the skill spectrum, an increase in the supply of less-skilled construction laborers may increase the demand for architects, engineers, skilled craftsmen, and other workers in occupations that are integral to the construction industry. In both cases, one worker’s skills complement the skills of another, allowing both to focus on their comparative advantage and benefit each other in the process. Just as important is realizing that immigrants’ economic contributions go far beyond their labor. Immigrants are not just workers; they are also consumers who spend their wages in U.S. businesses, thereby sustaining the jobs of other workers; taxpayers who add to the revenue stream of governments at the federal, state, and local levels; and, in many cases, entrepreneurs who directly create jobs by creating new businesses. Census statistics such as these illustrate the magnitude of the contributions that immigrants make to the workforce of the United States. Collectively, they power broad swaths of the U.S. economy through their labor, which benefits immigrants and the native-born alike.